The restaurant industry is mounting a new campaign to raise awareness about the tough challenges it faces in Alberta. Restaurants Canada, which represents more than 30,000 food service and hospitality businesses across Canada, has launched its campaign for the election this spring in the province. “For years, Alberta’s restaurant sector led the nation, contributing to jobs, tourism, investment and spaces for people to come together. Alberta’s food service sales growth now ranks second to last of all the provinces in Canada due to several setbacks caused by operational cost increases from legislative and regulatory changes,” said the organization. Information about the campaign and issues the industry faces can be found at restaurantrealities.ca. But the Alberta Federation of Labour said Restaurants Canada is launching a third-party election campaign that includes proposing rollbacks to minimum wage increases and various other workplace reforms that support working Albertans. 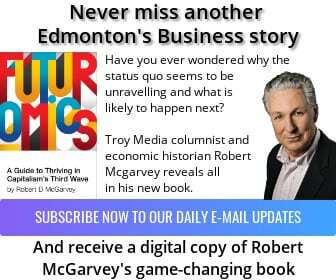 “Their campaign is an attempt to influence voters in this spring’s election by claiming that Alberta’s workplace changes implemented by the Notley government have been ‘too much too soon,’ but history shows us that for Restaurants Canada it is never the time for things such as a meaningful increase to the minimum wage or improved workers’ rights,” said the AFL in a news release. “Restaurants Canada remains more concerned about keeping wages low for their members, than about the thousands of minimum wage earners living below the poverty line,” said Gil McGowan, president of the Alberta Federation of Labour, in a statement.